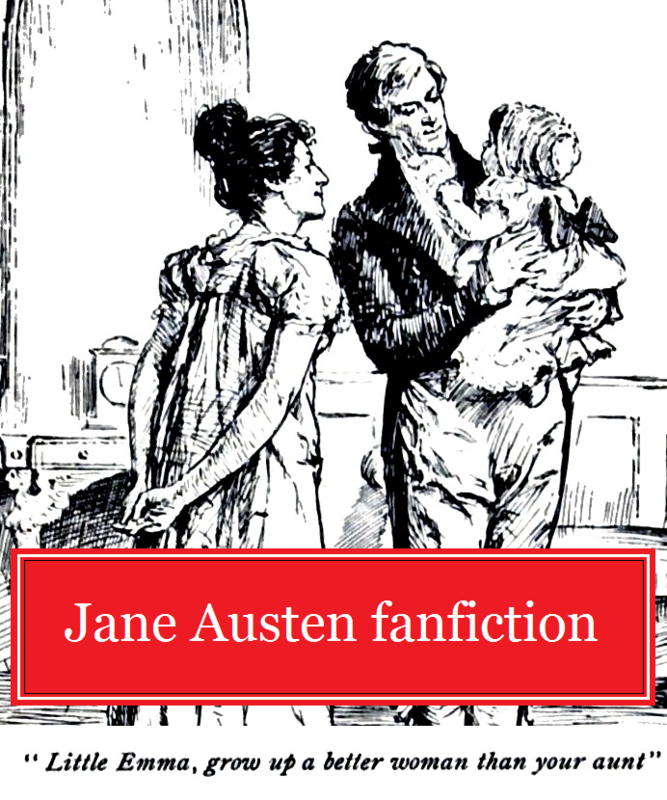 No, ‘Jane Austen fanfiction’ is not my new replacement for Why Polly?, but it is for this week. I wrote this quite a while ago, but I held off on posting it so it wouldn’t interrupt Why Polly?. This is a short fanfiction of Mansfield Park, from Mary Crawford’s point-of-view (remember – the girl who Edmund was in love with but was so wrong for him?) Mansfield Park is one of the lesser-read novels of Jane Austen, so it’s not a huge surprise if you haven’t read it, though I recommend all of Austen’s novels. If you’ve read it, I also spewed out my thoughts on the book previously, in Rant About Mansfield Park. It is a terrible plague to mean to be rich, yet to have fallen for a man who is not. Why couldn’t Edmund have been rich? Why couldn’t he have at least been the eldest? Or possessed some yearning to increase his income, or to go into some profession that was guaranteed to raise his prominence and expand his style of living? I looked out the window, down at the rainy streets of London below. A dull day. Nobody about, nothing going on. There was nothing to do but sit here with my own thoughts, and some of my thoughts were rather too painful. No, better yet, I ought not to have fallen in love with Edmund in the first place. He was so unlike the usual sort of man that attracted me! So invulnerable to all my teasing, so steady and calm, so contented with the country and the lack of stylish amusements it afforded. Insensitive to my teasing he might’ve been, but he had not been insensitive to my charm. Indeed – the months I had spent at the Parsonage had been some of the happiest of my life. To see his gaze soften with admiration as I played that favourite air of his on my harp… But while I had enjoyed his company, I would’ve been better off not to have fallen in love with him. Why had I? I truly hadn’t intended for such a thing to happen. Usually I select my conquests with care, and judge whether I will succumb to their charms after much contemplation. Edmund was extraordinary to work his way into my affections before I had half-realized it. Yet for several briefs moments this past year, I had thought maybe I was more tired of the amusements of the city than I realized. That perhaps wealth and consequence, though I had never had either, were not as engrossingly important as I had always imagined. For several moments I had thought so – thought perhaps I could adjust to Edmund’s quiet country-parson’s way of life. Until I stepped back into the bustle of London, and I knew I could never give such amusements up. There is nothing more terrible than to love and yet know you yourself are the reason the love must be given up. Not that I had had such a choice. Edmund had turned away from me with a hard heart and hardened eyes, and nothing I could do could make him change his mind. Perhaps it was best to know that now – to know if I had married him I could never have convinced him to spend some months in London, or drive a more stylish carriage, or to seek more fashionable acquaintances. Still, it stung me to my very soul that he had made the decision to break off the potential of anything between us, not I. I might not care so very much if I had felt I had taken control in the deciding. Oh, I am a failure even at attempting to fool myself. There is no way I could have convinced myself to give such a man as Edmund up, no matter how miserable I should be. So could I convince myself things were better this way? Last that I had heard, Edmund was courting his cousin, Fanny Price. Fanny Price! If nothing else had illustrated the impassable gulf that existed between him and me, this did – the fact that he could be consoled after giving me up by a girl such as Fanny. That insipid, shy, retiring shadow of a girl, whose acquaintance I had persistently pursued for so long because I knew how important she was to Edmund! Long had I pursued the acquaintance, without feeling I knew the girl a whit better than before the acquaintance had begun. Such a quiet girl! Yet one who might speak her opinion on moral matters quite decidedly if pressed, and stick to it to a surprisingly degree – a degree no one would have predicted, from her otherwise obliging temperament. Fanny Price’s fastidiousness had ruined everything for my brother – and perhaps now she would ruin everything for me. What? Was I still clinging to a shred of hope? It did not matter if Edmund married or did not marry Fanny Price. He’d made it clear he would never come back to me. It was time for me to fling myself into society again, to distract myself with admirers, to appear light-hearted and charming to all who laid eyes on me. And I had been doing so until this day, and until this moment of dullness and silence I had convinced myself I had forgotten everything that had passed in Mansfield Park. But I knew now that none of the unattached society men would hold a candle to Edmund’s steadiness, his earnest ability to convey to a lady how very much he felt for her by a mere glance of his eyes. There was something in making a man such as him admire you! Fanny Price should know how much she had gained! Yes, she likely did. I could not accuse her of presumption, but she must’ve at least been in love with Edmund for some time. I was a fool, but as long as he was single, I did have hope. At that very moment, my brother, Henry, entered the room. “It is over, Mary,” he said. Not his flirtations, that was for certain. He had thrown himself into his usual pattern of behaviour with a vengeance, and without seeming much more contented as a result of it. A certain class of respectable women avoided him, of course, but there were enough willing to associate with him to distract him. Except it looked as if he was as difficult to distract as I was. It was only the anguished look on my brother’s face that convinced me it was true. I had never thought it possible either, that my brother could ever lose at the game he played so well. That there’d every be a soul among all the ladies he juggled that would make him regret he could not convince himself to drop the others. Lost? Oh yes, my brother had lost. He is not the sort to love often, perhaps never more than once. And he knows reforming, even were he able to attempt it, would do nothing to win the heart of Fanny Price, nor raise his character in her eyes. Oh why, oh why had the Crawfords ever gone in among the Bertrams and the Prices? They exposed the folly we could not stop clinging to. And neither of us were the better for having met them. My heart twisted inside my chest. Edmund was to be married. Henry and I had both played and lost. Life made it clear we could not have everything we wanted, and we’d learned our priorities well. If only such priorities did not look so dreary and monotonous on their own. If you enjoyed Reactions to an Engagment, I also previously wrote a short piece on Emma – called Not Emma. I could honestly say yes. Everything so far had been strange. There were lots of people to see the Rajah, and the Rajah dealt with them all. We sat by the edge and gossiped. At least, everyone else did. I didn’t know half the people they were talking about, and they didn’t tell me. They didn’t seem to know what to make of me, a pale Angarian sitting in the midst of them. “So you’re Casper’s cousin,” Lady Aurelia said to me finally. I nodded. “That Enchanter!” Lady Daina spat. They all exchanged looks at this, then turned back to me. “You do know what he’s like, don’t you?” Lady Aurelia asked. “By which you mean?” Lady Mandarine inquired sharply, staring at me in a way that got my back up. “He doesn’t jilt me,” I told her sweetly. Beside me Janeira gave a quick gasp. I sighed to myself and cursed my mouth. If I wasn’t careful I’d get myself in trouble. Lady Mandarine’s gaze had hardened, and she got up and swept to the other side of the throne room, but Lady Carmen was studying me appreciatively. I flushed under all of their gazes. At the edge of the group I noticed Lady Cassandra and Lady Clio had joined us. Lady Cassandra was looking at me especially hatefully. “Well, well, the Enchanter’s cousin,” she said. I did not trust myself to reply, and remained silent. They continued staring at me for a while longer, then began talking again. I let out the breath I had been holding. “I told you to be careful,” Janeira told me. I shrugged and sighed. Looking up I saw the Rajah get up from his ornate chair and stride out of the room. For a moment I panicked. Casper had said never to let my eyes off him! Then I quickly made up my mind and hurried out after him. When I got out into the hall it was empty. Looking back I realised I was now in a different part of the Palace, and I hoped I wouldn’t get lost. Picking up my skirts I hurried down the passageway. Where had the Rajah disappeared to? I wandered around for a few minutes, getting worried. I knew I wasn’t cut out for this, I thought. But I could get out of it now. Turning a corner I almost ran into the person I was looking for, the Rajah with a couple dusty volumes in his hands, which fell the to the floor as I knocked them. “Oh – I’m sorry,” I gasped, almost sheepishly. What would he think of me, wandering around the Palace like some aimless fool? “Sure – I mean, yes,” I replied, flustered. But I did not take his arm, so after a while he dropped it. Forgive me, Casper, if he kicks me out of the Palace, I thought. Luckily the Rajah did not seem about to do so. I followed him back down the halls to the throne room. The ladies of the court all turned to look at me again as I re-entered. I was already red, but I’m sure I flushed three shades darker. I’m never doing that again, I vowed silently to myself. Next time I would wait a while before I started worrying. Just before noon the court ladies went to ‘stroll around the garden’, though their real intention seemed to be to promenade where all could admire them, and mostly for the Rajah. I went too, not really knowing what else to do, feeling like an idiot and making casual small talk with Janeira. The Rajah stood on his balcony and smiled with an arrogant amusement that was similar to Casper’s, only somehow more dark and regal. He knew this was put on for his benefit. I looked around the garden at all the strolling silks and laces, and realised why Maria had said my other robes were completely unsuitable. They were simple compared to these, decorated only with embroidery. I decided they must be the kind of robe the common people wore, and that was why Casper could buy them in the market, but the dresses here at court were made professionally be seamstresses especially for the woman who bought them. I wondered how much all these dresses here put together would cost, and how Casper could afford to get such dresses for me. I realised then Casper must be quite wealthy. Funny I had never thought of it before. But of course the only Enchanter in the land would be rich. “You said both Mandarine and Carmen asked you to join their sides?” I said to Janeira as we strolled. After lunch most of the court reclined for awhile, inside, in a dusky, brocade draped room infused with incense, because outside the heat of the day had reached its peak. Even the Rajah relaxed, discussing trivial matters with the other earls. Then, when most of the stodgier lords and officer had left, the younger set got up and gathered around. A couple of earls were standing by Carmen and Cassandra, caped in maroon with sheathed swords at their waists. They turned when they saw me come up. They all laughed as I reddened. Carmen glanced at me edgily and moved as if to politely cut me out, and Cassandra positively glared. The earls began moving away, to tell the Rajah of their plans, and as they passed me they smiled. “You are coming too, aren’t you?” one asked. “I suppose so, if you wish me to,” I replied sweetly. Maria would have been proud. And so for the rest of the afternoon we took the Rajah’s private yacht and sailed slowly down the river that ran through Araba. Here, more than anywhere else, I could see how out of place I was, because especially during this time, when the court was relaxing and having fun, I could see how well the ladies and the earls and the officers all knew each other. I spent the trip sitting near the bow and letting the cool river breezes blow over my face. Once, for politeness’ sake, the Rajah came to check on me, and for a while Janeira talked to me, but other than that I was alone. In a way I was glad, because I needed time to sort out my thoughts. At the dock at the end of the voyage carriages were waiting for us, which took us up and carried us all the way back to the Palace. They day was almost over. Clio, Daina and Aurelia and the others in my carriage were discussing the dinner that night, but I had not been invited, and besides, Casper had said he would send a carriage to pick me up at the end of the afternoon. I realised suddenly I would be glad to see the Peak again. I curtsied smoothly, gave a little smile, and ascended into the carriage that would take me home. It started to rattle down the Palace hill to the city again. I leaned my head back tiredly against the seat and thought about my day, and the people of the court I’d met. Janeira, who seemed to understand a bit what it was like to be new and out of place at the Rajah’s court; Carmen and Mandarine, the two rivals who completed for the Rajah’s attention and hated each other, and now probably hated me too; Cassandra, whose grudge against the Enchanter who’d jilted her seemed to extend to all of his family, including his ‘cousin’; Daina, Clio, Aurelia and the others who seemed to regard me with a sort of superior disdain. And then there was, of course, the Rajah himself. The young, dark, and handsome ruler of Chaldea. “How was it?” Paulina asked me when I reached the Peak. She was making dinner since I was not there to do it, and Radagast was curled by her feet. Quickly I undressed and put on my light blue dress. It felt so good to get out of that girdle, and to wash all that make-up off my face. When I looked in the mirror and saw my familiar, natural face staring back I felt relieved. “So, how’d you do?” Casper asked when I came down. I looked at him.